Department of Art | FSU Art MFA Students Show in the Perspectives-Art, Liver Diseases and Me Event in Vienna, Austria. Home » News » FSU Art MFA Students Show in the Perspectives-Art, Liver Diseases and Me Event in Vienna, Austria. FSU Art MFA Students Show in the Perspectives-Art, Liver Diseases and Me Event in Vienna, Austria. 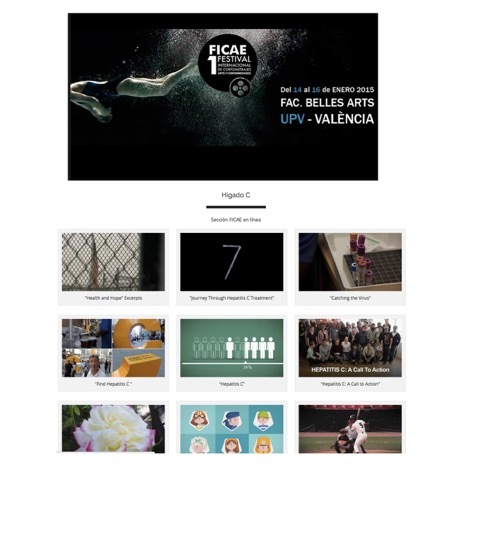 Perspectives-Art, Liver Diseases and Me is an initiative developed by Catedra Arte (Y) Enfermedades at the Universidad de Valencia Bellas Artes in Valencia, Spain. It was created to raise awareness and enhance the understanding of various diseases such as Hepatitis C.
The initiative brings together patients affected by Hepatitis C and artists from various countries around the world to jointly create a series of paintings, sculptures, photos and other artistic expressions that creatively portray – and help others understand – the impact of the disease. Three MFA students in FSU’s Department of Art working on the Hepatits C initiative with Professor Terri Lindbloom were Scott Bell, Gaelin Craighead and Elise Thompson. They each created an art work based on their interview with an individual who had or has Hepatitis C. And, they each received 1,000 Euros. These works will be exhibited during a conference on Hepatitis C in Vienna Austria, April 2015.